In the digital photo age, not only do most of us have cameras on us at all times, but we have printers that can turn them from pixels into paper. There’s been no formal study I can find, but it only stands to reason that people have more photographs of friends and family in their possession now than at any other time in history.How to display them? Interior designer Emily Mughannam of EM Design Interiors in Sonoma, California, says technology may change, but the desire to surround ourselves with family images seems to stay the same. “An interior should tell a story,” she says. “A photo wall can show us where we have been and where we are going. Frankly, when I’m in a home without one, it can feel a little sterile.” Whether you choose to do it yourself or hire a professional, once the photos are 2-D, the process of creating a photo wall can be decidedly low tech. 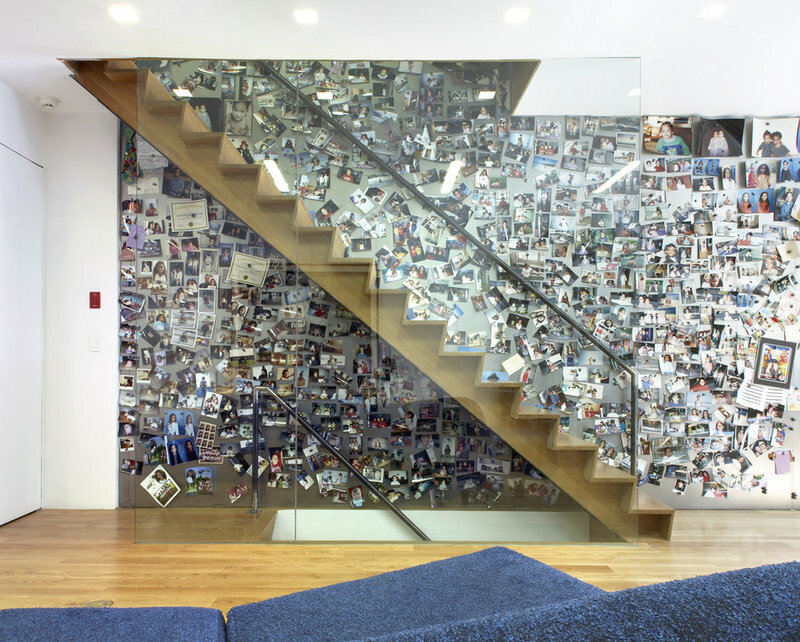 Project: Create a family photo wall.Why: Crookedly hanging a haphazard collection of random family photos is akin to spreading the contents of your junk drawer across the wall. A little thought can make a photo wall a work of art. Who to hire: Although it’s a project that could lend itself to a DIY weekend, you can get a polished look with the help of an interior designer or a professional art hanger. If you want to resize, reprint or change the color of a large number of photographs, a photography lab can make quick work of it. You might also consider using the services of a professional framer. Basic steps: Decide where you want your photo wall. “Because they do tend to look busy, I like to locate them in more private spaces, such as a hallway or bedroom,” says Mughannam.Next decide whether you want a grid or an asymmetrical display. No matter which you choose, Mughannam says uniting the pictures through a common element will give them a sense of order. That common element could be photograph color, frame color or image size. 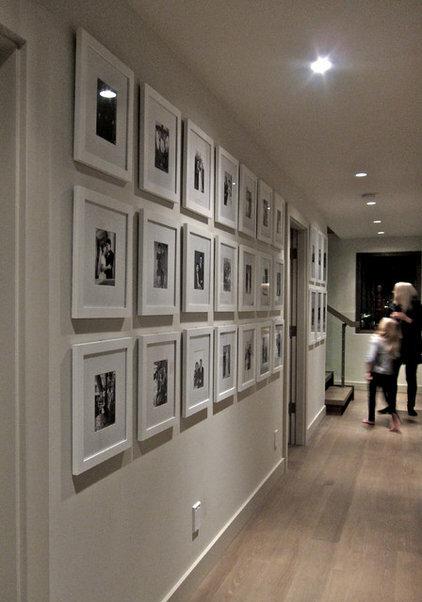 For example, you could have a lot of photos of different sizes together on a wall if they are all black and white. 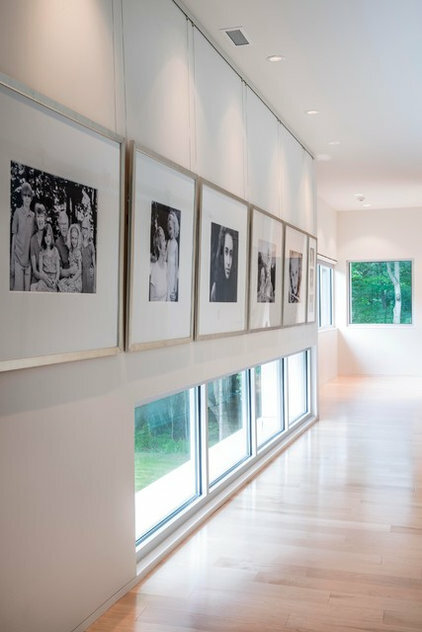 In this project from David Rausch Studio in Zionsville, Indiana, black and white family photos framed in the same scale and grid pattern as the nearby windows make a big architectural statement. Although Mughannam personally likes to use frames of the same color and size, she says it’s not the only option. “You can certainly hang a collection of vintage frames,” she says. 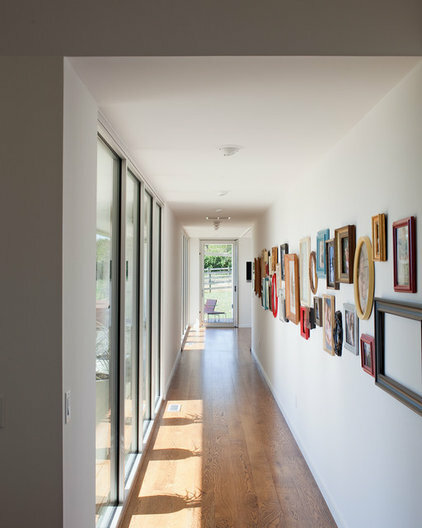 “But I think it looks best if they are all the same distance apart.”This photo wall, by Hufft Projects, for a home in Kansas City, Missouri, includes a wide variety of frames, but it has discipline because the outermost edges are aligned and the frames are spaced equidistantly. Cost: Mughannam says a DIY installation can cost $300. 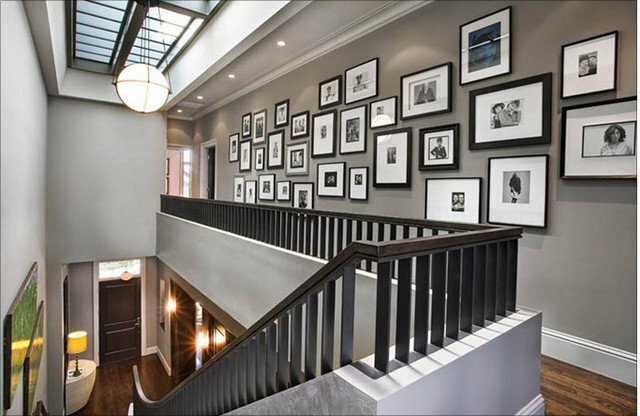 A larger installation involving reprinting photos and having them professionally framed and hung could cost as much as $3,000 or more.Typical project length: Creating your own photo wall could be done in a weekend. 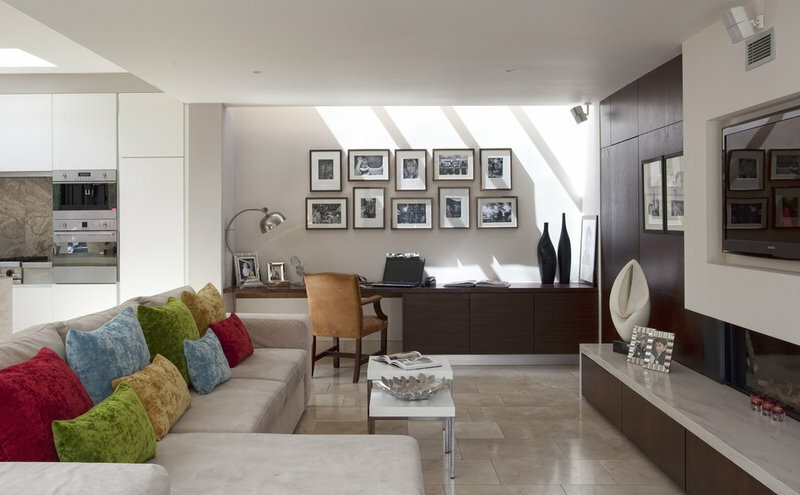 To have photos professionally printed, framed and hung could take several weeks. Are you in need of a contractor to help you with this project? Are you ready to sell and want to tone down your family pics? Give us a call and we can help!